Fitness is more of a lifestyle than ever before. All I have to say is “Activewear” and you’ll probably start cracking up as scenes of the 2015 viral video pop unbidden into your mind. But it’s 2017 now and the looks are here to stay, especially since people are adopting healthier habits. What isn’t a healthy habit is the amount of money a person can potentially spend on fit fashion. 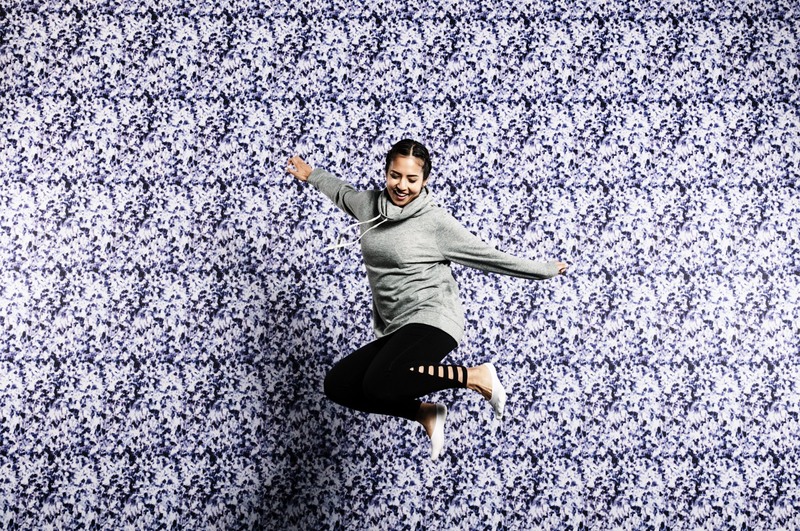 Just as in the more traditional fashion industry, there’s high activewear and low activewear — many of which are indistinguishable from the other save for some obvious branding designs. What am I trying to say? Mix. It. Up. I have to admit, I wasn’t familiar with Old Navy‘s new Active line until recently. Fun fact: I worked for Old Navy for three years during high school. Sad fact: I hadn’t stepped into a store for a very long time. New fact: I’m changing that last one because I cannot believe how impressed I was by not only the selection, but also the style and quality of the activewear available. The affordability is just an obvious added benefit. To really immerse myself in the latest line, Old Navy whisked me away to NYC to see firsthand what I can expect if I stick with this resolution. Chic, feminine and motivational, the Spring 2017 collection is exactly what women want. It’s also versatile enough to appeal to those who lean towards a darker, edgier look and others who want something brighter and more playful. What is the overall inspiration behind the latest collection? Our Spring collection is all about renewal. We know that many of our new years’ resolutions have fallen by the wayside, and that Spring is a chance to recommit to our goals. 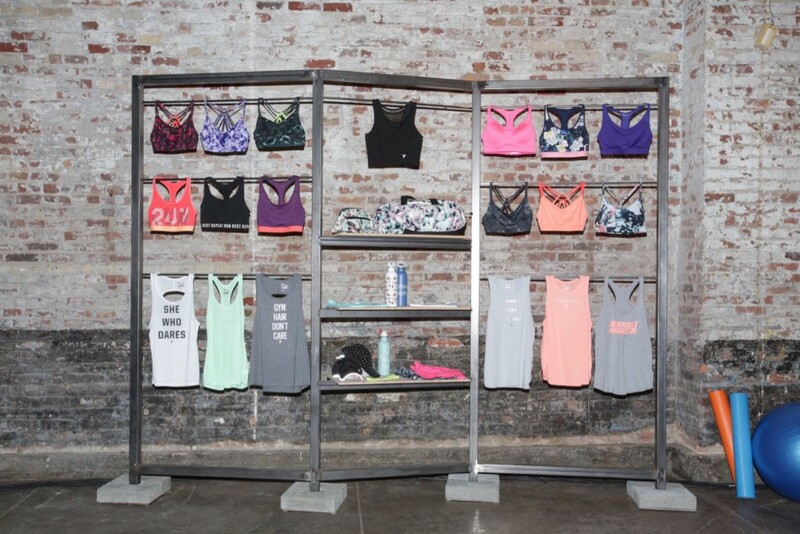 We have thought about versatile, transitional pieces that will inspire you to get out and get moving. Tell me a little bit about the Old Navy shopper. Our shopper is someone who’s always on-the-go and is fully committed to a healthy lifestyle by keeping active. She looks for functional pieces that are stylish enough to extend beyond the gym, and that can easily mix with the rest of her wardrobe. What are your favorite pieces in the latest collection? I love how soft and feminine the line feels this spring. All of our mesh pieced compression leggings and crops are beautiful, breathable and easy to outfit. I also love our soft sweater knit open fleece throw on, and mesh fleece crew for after a work-out. 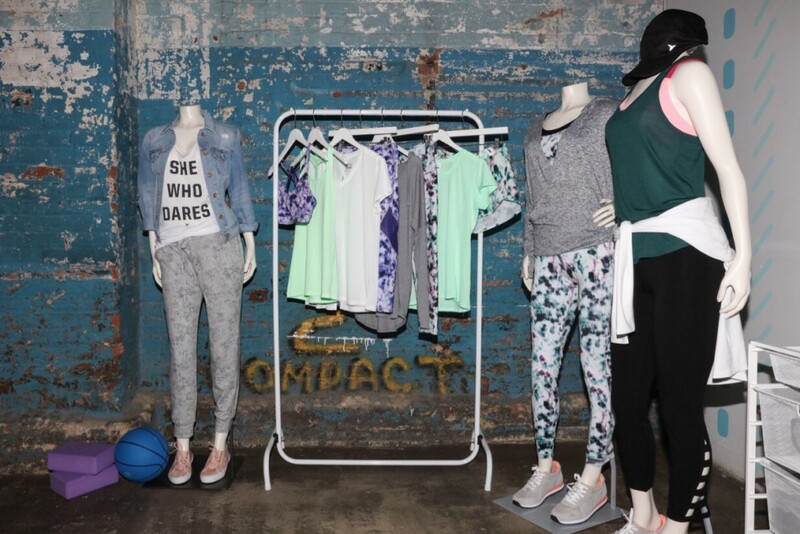 What’s next for Old Navy Activewear? This summer, we’re excited to unveil a new bold & fun print expression. 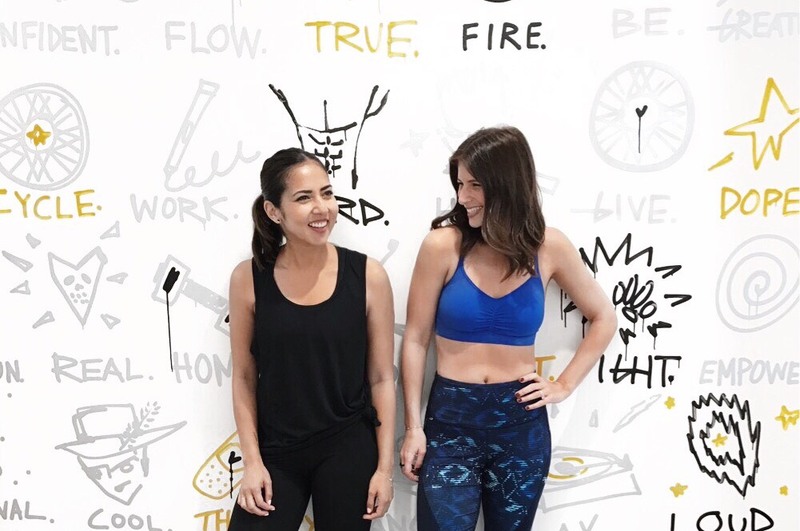 Of course, I got to put the designs to the test with a sweaty session at Soulcycle — my first time! — and some trampoline exercises. 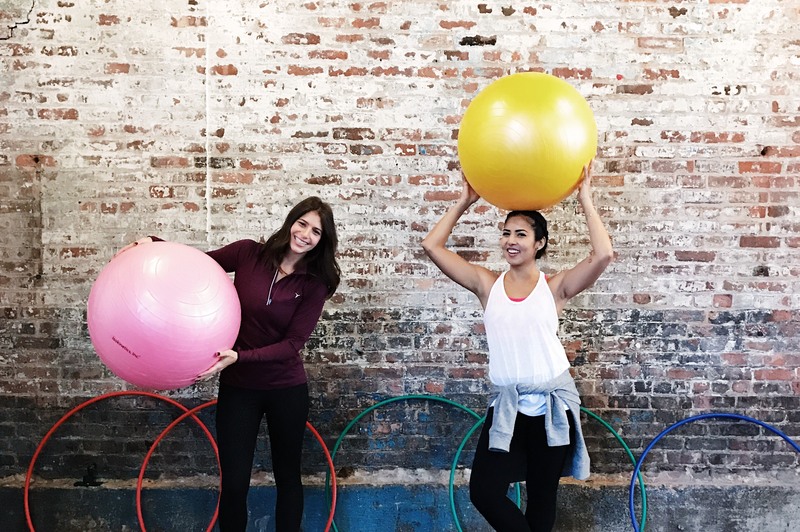 It was an amazing experience, to say the least, and I’m so happy I got to share it with a fellow fitness fanatic, Marlie Cohen of Kale and Krunches.